I didn't think that true signs of spring might ever appear this year. Not that we've had a hard winter. We haven't. But it has been gray and dreary and typical of the Pacific Northwest this time of year. 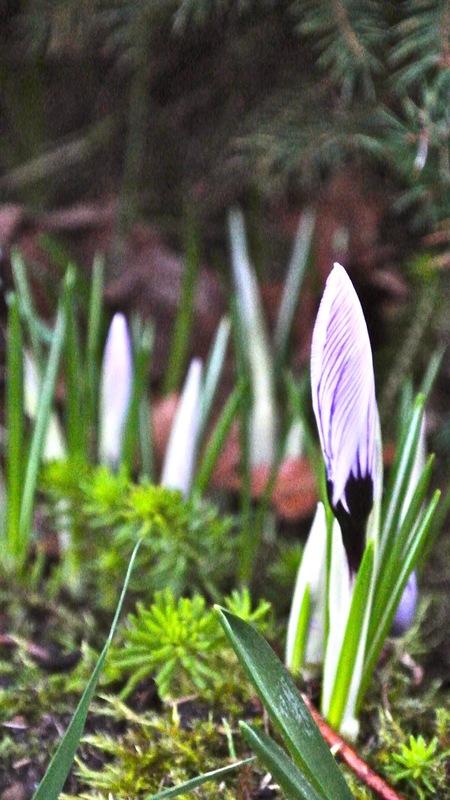 Just yesterday I noticed that my much anticipated clump of crocus is finally showing some color. Spring must be coming! That little bit of purple is so anticipated each year, so appreciated. It holds the promise of great things to come. 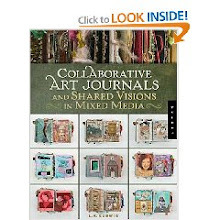 And speaking of things to come....my India journal will be featured here in a couple of upcoming posts. Soon. I'm editing the photos now and I am almost ready to share. Can you spot the India journal?